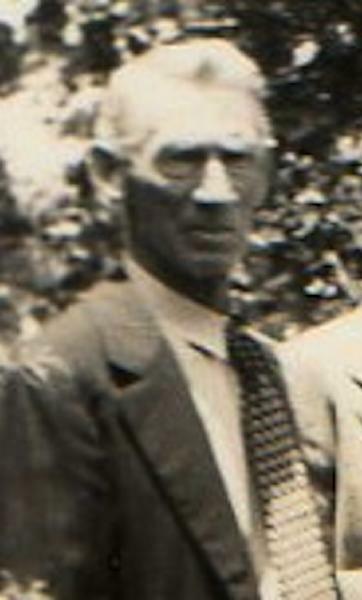 Charles Brigance Easley was born on 12 November 1872 in Texas. Edward Charles Easley and Margaret Frances Brigance appeared in the US federal census of 1 June 1880 in Anderson Precinct, Grimes County, Texas. Other members of the household included Charles Brigance Easley, Walter Easley, Chester Aurelius Easley, E. V. Easley and Robert B. Easley. Also in the household was niece Mary Maddox. He married Mary Jane Wood, daughter of Solomon William Wood and Martha Clarana Reed, on 29 December 1898 in Huntsville, Walker County, Texas. The following appeared on 2 January 1899 in The Daily Examiner: Chas. Easley and wife are in Navasota and will make their home with Mr. and Mrs. Ed. Easley, Sr.
Charles Brigance Easley and Mary Jane Wood appeared in the US federal census of 1 June 1900 in Grimes County, Texas. Other members of the household included Robbie May Easley. He was a farmer, according to the 1900 census. The following appeared on 23 May 1909 in the Galveston Daily News: C. B. Easley spent Monday and Tuesday with his mother, Mrs. E. C. Easley, at Navasota. Charles Brigance Easley appeared in the US federal census of 15 April 1910 in Grimes County, Texas, living next to Mary's parents.. Other members of the household included Charles Edward Easley, Mattie Easley and James Easley. He was working at odd jobs, according to the 1910 census. An photographic portrait was made of Mary Louise Easley as a young child. Charles Brigance Easley registered for the draft on 12 September 1918 in Grimes County, Texas, while living with his wife Mary Jane in Richards, and employed a a machinist helper by Magnolia Petroleum Company in Dallas. Charles Brigance Easley and Mary Jane Wood appeared in the US federal census of 1 January 1920 in Richards, Grimes County, Texas. Other members of the household included Charles Edward Easley, James Easley, Anne Margradel Easley, Mary Louise Easley and Robert Chester Easley. He was working at an oil pump station, according to the 1920 census. Charles Brigance Easley and Mary Jane Wood appeared in the US federal census of 1 April 1930 in Richards, Grimes County, Texas. Other members of the household included Mary Louise Easley and Robert Chester Easley. He was working at an oil pump station, according to the 1930 census. His wife Mary Jane Wood became a widow at his death. Charles Brigance Easley died on 27 February 1953 at age 80. 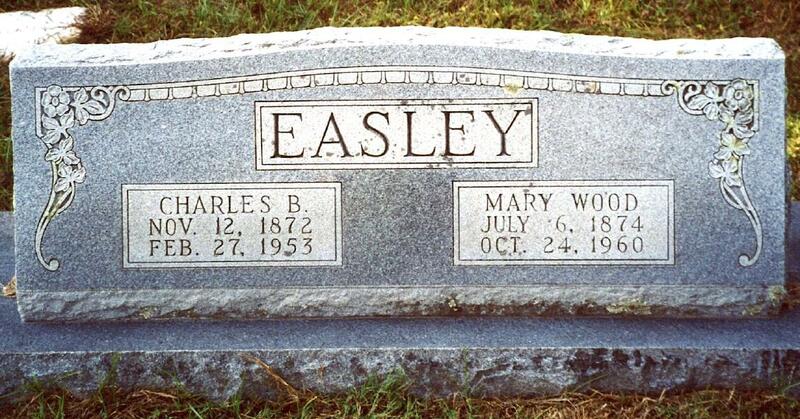 A single grave marker identifies the graves of Charles Brigance Easley and Mary Jane Wood.